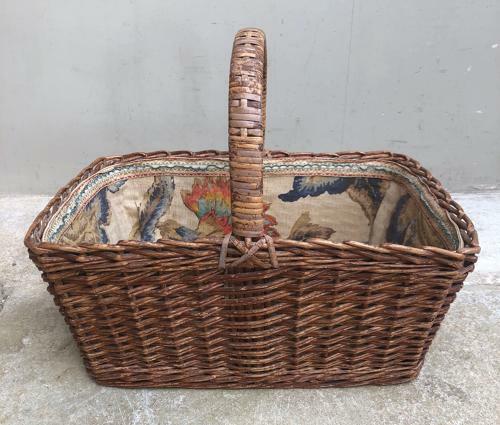 Wonderful Edwardian lady's basket which has been fabric lined and then braided around the edges. The basket itself has a fantastic patina as is in superb strong and original condition. There is a fabric cover to go over the top - it must have been used as an individual picnic basket. Just lovely.